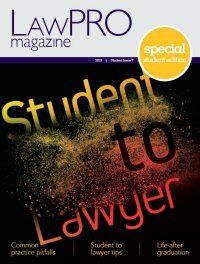 While many Ontario lawyers give their time generously to more junior members of the bar, some may be deterred by the potential risk of liability for a claim relating to the work of a mentee. the mentee understood that she/he was responsible for individually and independently satisfying her/himself of the soundness of any suggestions, recommendations or advice-like comments made by the mentor. The written document evidencing the relationship does not have to be a formal signed mentoring agreement. It can be as simple as an exchange of e-mails acknowledging the relationship and the three terms listed above. 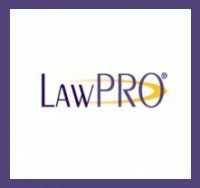 LAWPRO, through its practicePRO program, has created several resources to support mentoring relationships. Among these is our Managing a Mentoring Relationship booklet, which provides mentors and mentees practical advice and insights on how to make the most of a mentoring relationship.